Through our work with businesses and nonprofits, America’s Charities is poised to raise $1 billion for worthy causes by 2026. Businesses and their employees are integral to achieving this goal of bringing more resources to nonprofits that are changing our world. 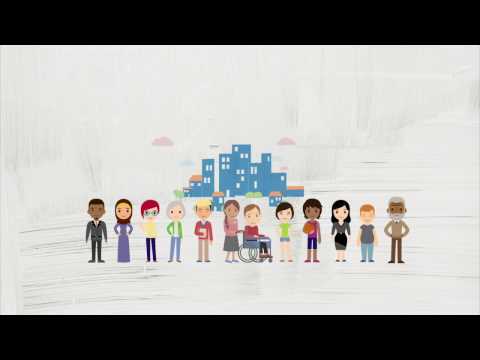 Regardless of your organization's size, budget or bandwidth, America's Charities is proud to offer a comprehensive suite of workplace giving and employee engagement tools, strategic advice, and funds management solutions, designed to help you achieve your giving, volunteering, and social impact goals. Make it fun: Collaborate among coworkers via the Giving Feed. Utilize charitable incentives for employee referrals, work anniversaries, etc. Quick Turn-around: Launch your campaign within days! Easily launch one-off campaigns for #GivingTuesday, disaster relief efforts, or year-end holiday giving. Perfect "Starter Package": Designed for organizations who want to start and grow an employee giving and engagement program, but just want something simple and low-cost to start out with. Every America's Charities' employer client – no matter which solution above is chosen – is supplied with a dedicated account representative to guide you through the workplace giving process from start to finish. From setting up and personalizing the online platform, to helping create a program, to managing the funds, to reporting and more, you will receive support from a full-service Client Engagement team, with experts in giving and engagement, technology, funds management, marketing, and more to provide assistance as needed. Your employees may utilize our Donor Support team, which has a 95% satisfaction rate. We provide multi-channel support - phone, email, or online chat - to assist donors.